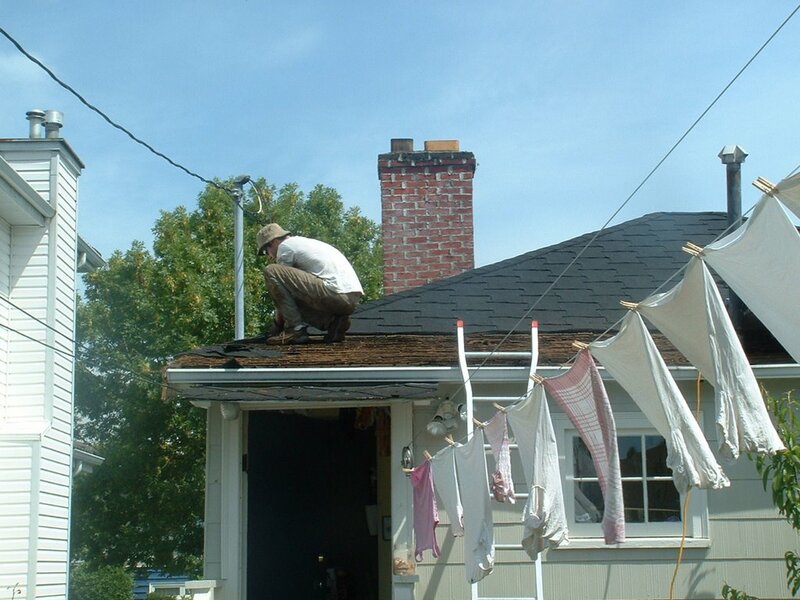 C. (hubby) spent the day up on the roof today, stripping off three layers of old shingles. Our house would have been so cute with it’s original cedar shingles, it killed me to watch him tear them off. We stowed them away for use as kindling or whatever. 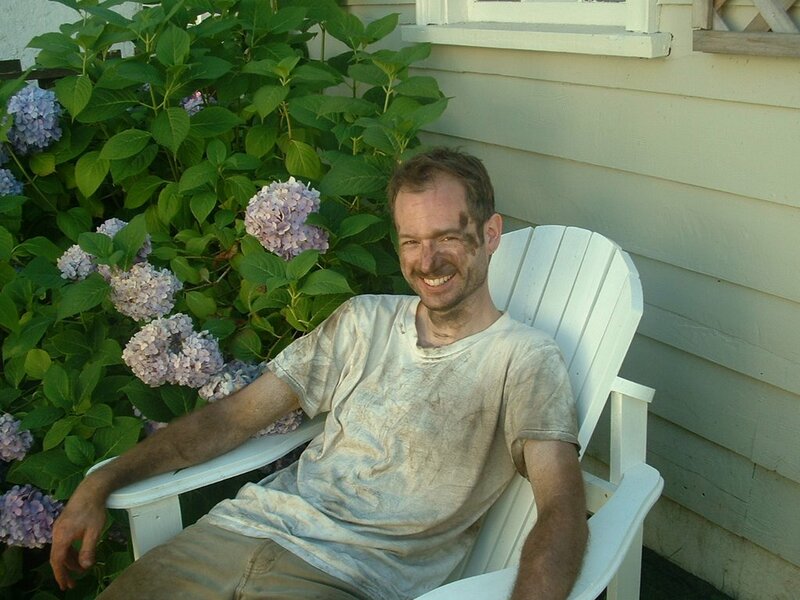 So good natured, he’s still smiling after a day spent on a hot roof (he doesn’t actually have a mustache). I did a lot of miscellaneous garden stuff today. I mulched the blueberry plants with dry needles from under the pine tree out front (to increase the acidity of the soil), and reluctantly pulled out the broad beans that were doing so well a month or two ago. They were covered in aphids pretty badly, and despite spraying them with soapy water, etc., the plants just gave up and died within the past few weeks. Maybe it was something else that got them. Very disappointing, we all really like broad beans (well, I do anyway). I’m really happy with the way my tomato spirals are working out, though. They are the easiest tomato support I’ve ever used, I just occasionally have to make sure the main stem of the plant is twisting up the stake (I usually do this while I’m there pinching sucker branches anyway) and so far so good. We’ll see how they do once they’re completely laden with ripening fruit. I was also happy to discover that several of the cavities of our mason bee house have been filled (see the little mud plug on the left?). Hopefully we’ll have even more little pollinators buzzing around next year. 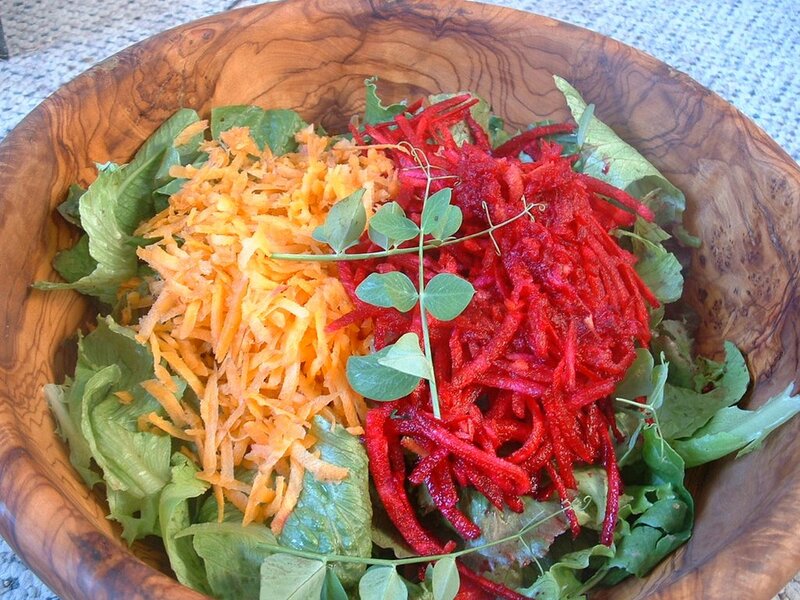 And finally I just had to share the scrumptious homegrown salad we had with dinner tonight. The lettuce, beet greens, pea tips, carrots, beet root, and the herbs for the Green Goddess dressing were all pulled from the garden this afternoon. Yum! tripping through the webring and found you. 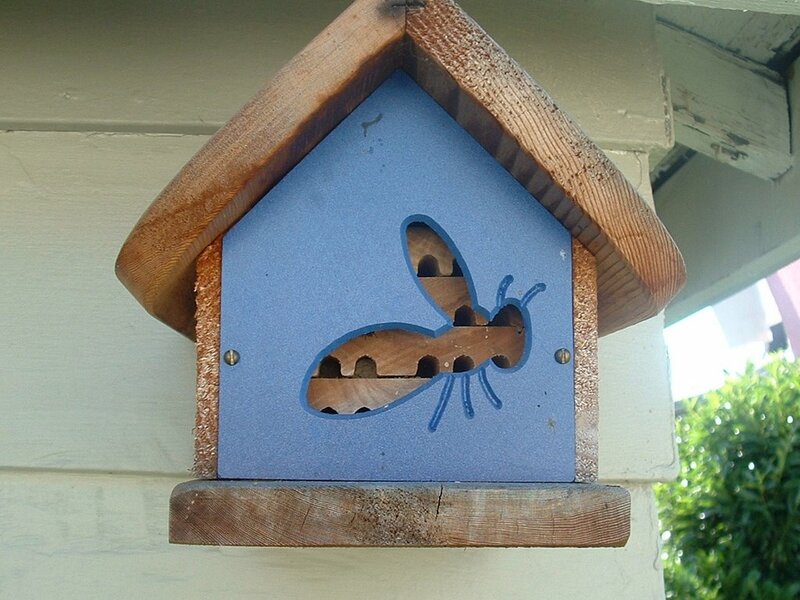 I just love that “bee house”! Did you make it?